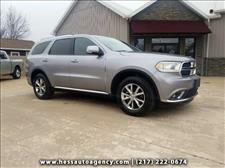 Over the years our family has purchased several vehicles from Hess Auto Agency. The vehicles are late model and top-notch quality. If they don't have what you are looking for, just let them know, they will do their best to find the type of vehicle you want. We have come to trust that we won't get a better deal anywhere! 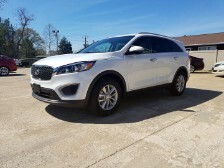 Eric, our salesman, was very motivated to make the best deal possible.. We are very happy with the service and attention to detail that we get from Hess Auto Agency and we would not not dream of buying a vehicle at any other agency. 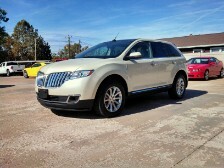 Absolutely love our MKX! My wife Lindsay and I had been looking for a car for months. Numerous issues with multiple unnamed dealers. All the other dealerships were pushy, rude or just plain not listening. We have known what we wanted for a while and no one had what we wanted for the price we wanted to pay! 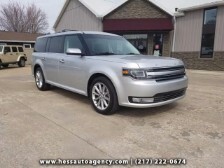 Then today we found the car we wanted online and it turned out to be at Hess Auto Agency. Eric Hess was great! He was friendly, polite, and easy to talk to. My wife and I felt quite comfortable there and did not feel any pressure. We bought our awesome new 2016 Dodge Durango today for exactly the price we wanted. Eric worked with us and walked us through all the ins and outs. I highly recommend this dealership for a no hassle and great experience. Eric was great! I had a wonderful experience working with Hess Auto Agency. I worked with Eric and he went above and beyond to find the exact car that I wanted. The process was very easy and he stayed late in the evening to accommodate my schedule. I will definitely be going back to Hess Auto when I am looking for my next car! 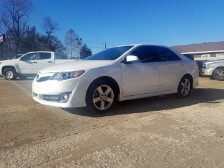 We had an absolute wonderful experience when we recently bought a 2014 Camry from the Hess family. They were the most courteous people we dealt with throughout the car shopping process, and we never once felt pressured like you hear about with most used car dealerships. Eric took care of us throughout the whole process, and I couldn't recommend this awesome family run business more to anyone in need of a quality automobile. We absolutely had a great experience. 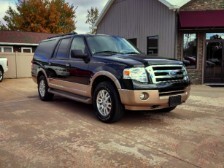 We have purchased a dozen vehicles over the years from Gary, Kirk and now Eric. We have always been treated with the utmost respect and they listen to our wants. If you want the truth from a dealership, we recommend the Hess Auto agency. If they don't have what you are looking for, they will find it. Honest shop!! I cannot recommend this dealership and their family enough! Literally, in under 48 hours, I drove off an extremely satisfied customer! I started the process, casually browsing their website. It is one of the best organized & easiest sites to navigate. I made a call Monday morning, again casual, no real expectations. There were hurdles & hoops, and all were maneuvered with absolute ease, thanks to the help & diligence of Eric Hess! My questions were answered (no matter how mundane) & assistance was offered on every possible avenue. I honestly feel all I did was test drive the vehicle & sign papers! I am still in a mild state of shock that I just bought a beautiful 2006 Ford Escape, that looks new & have a 3 year phenomenal warranty to boot. You simply will not find a better dealership to work with! 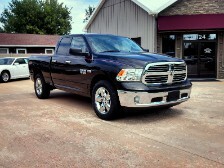 I highly recommend Hess Auto Agency! Thank you Eric! 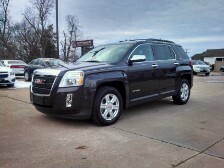 I had the pleasure of buying a beautiful 2015 GMC Terrain from Hess Auto Agency. My experience was awesome. Jeff Harper and John Reiter did an outstanding job helping me and answering all of my questions. 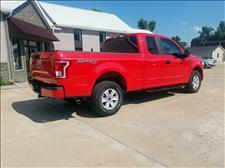 I know that had they not had the vehicle I wanted on their lot they would have done their best to find it for me. Hess Auto made my buying experience quick and painless. I am very very happy with my purchase and would definitely come back in the future, and recommend everyone I know to stop in and check out their great selection. Thanks guys. 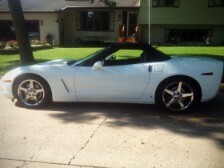 I purchased a 2007 Corvette from Eric Hess at Hess Auto Agency after finding the car on the Internet. I asked Eric about the condition of the car over the phone, stating I did not want to travel a distance to purchase a car only to be dissapointed. 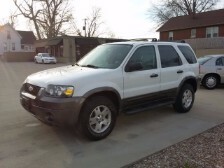 Eric stated the car was in excellent condition and I traveled to Quicy, IL from NE Iowa. With Eric's honesty and integrity, I couldn't be happier with this Corvette. Hess Auto Agency is an outstanding dealership to do business with. I was looking for a used truck and stopped by Hess Auto. They had a good selection of the trucks that I was looking for and Eric came and explained all their features and prices. 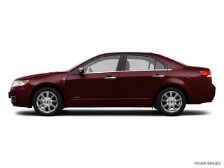 I finally settled on one that fit my preferences and Eric worked to get me a price that I liked. It was almost enjoyable. He then took care of the loan application and changing the insurance around. He made sure that everything was taken care of and even came and got my truck from work to get some running boards put on. This made the whole experience enjoyable and I will be referring my friends and family to Hess Auto. Thanks Eric! 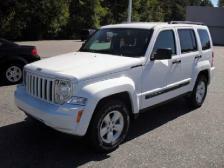 Our family has purchased all of our cars from Hess Auto, usually when our growing family has required it. Each time, the staff has gone out of their way to make process very simple with upfront pricing and honest negotiation. We consider them part of our family. My wife and I have been buying cars from Kirk Hess and his staff for several years and we are probably at around car number 6 or more. 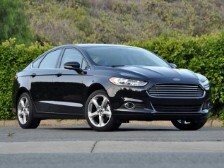 We consistently receive excellent service, good vehicles and a stress-free buying process. We always endup paying a better price than what can be found researching values and often get a new set of tires, mats or service as part of the deal. They really make it easy for us to keep coming back. 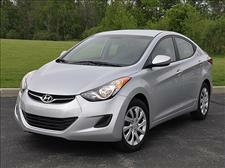 Hess auto made buying our new car a great experience! They found the car we needed within a couple of days and it met all our requirements needed- price, size and comfort! We highly recommend them and now we are returning to them to find a car for our aunt! Thanks Hess Auto. 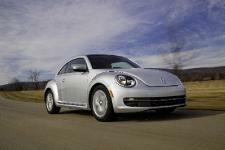 I recently purchased a 2013 Volkswagen Beetle 2.5L from Hess Auto Agency and had a great experience. My salesman Eric Hess was terrific to work with. He went out his way to help me by showing and letting me test drive a number of cars on the lot before I decided on the VW Beetle. Eric helped make my purchase easy and positive. He has even checked up with me to make sure everything is going good. I couldn't be happier with my new car from Hess Auto Agency. I've been purchasing cars from Hess Auto Agency for years -- many, many cars over many, many years -- both for my businesses and my personal use. I have always been treated fairly and with the utmost professional service. Kirk and his staff are knowledgeable and always work within my budget. 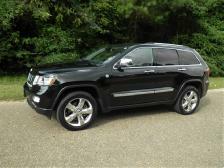 Right now I am driving a 2013 Jeep Grand Cherokee Overland that is the sharpest car in Quincy! I have sent all of my friends and business associates to Hess Auto Agency and I recommend them to anyone looking for a prime used car at an affordable price. I guess you could say that Hess Auto Agency has it all -- great staff, wonderful cars and the best prices on the market. I bought my car 2 years ago and have never been happier. When you go to look at cars on their lot they make you feel comfortable. There is no pressure put on you at all. They are very professional and make buying a car easy. They have quality cars and back them 100%. They have been around for a long time because of there product and how they treat people.